The Elms, a private school at the corner of High Street and Ingraham Terrace in Springfield, around 1892. Image from Picturesque Hampden (1892). 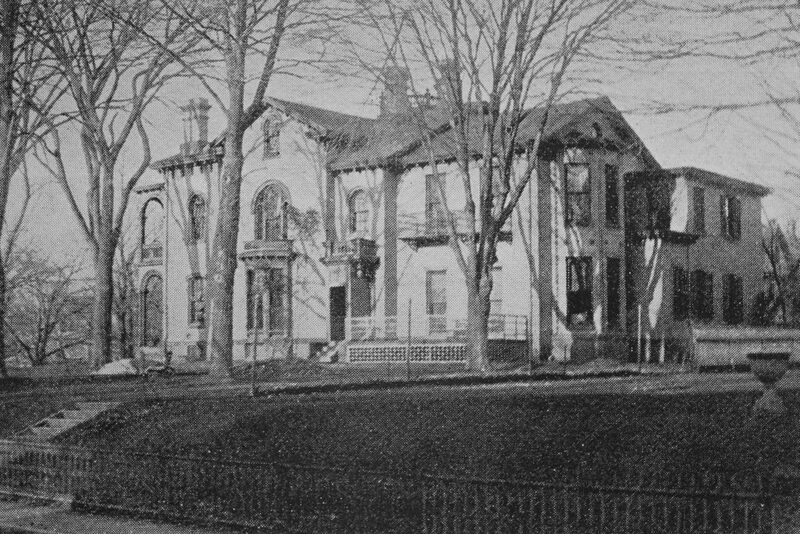 This mansion at the corner of High Street and Ingraham Terrace in Springfield was built around the 1860s, and was originally the home of retired Army officer Robert E. Clary. He was born in Ashfield, Massachusetts in 1805, but his family came to Springfield, where his father became a clerk at the Armory. After spending much of his childhood in Springfield, Clary entered West Point in 1823. He graduated thirteenth in his class, which was significantly higher than fellow classmate Jefferson Davis, the future Confederate president. Although Clary would fight against Davis’s armies in the Civil War decades later, the two men were friends at West Point, and Davis even served as the best man at Clary’s wedding in 1829. When the Civil War started in 1861, Clary had already been in the Army for over 30 years. He spent most of the war as a chief quartermaster for a variety of departments, and at the end of the war he was promoted to the honorary rank of brevet brigadier general. After the war, he retired to this mansion in Springfield. 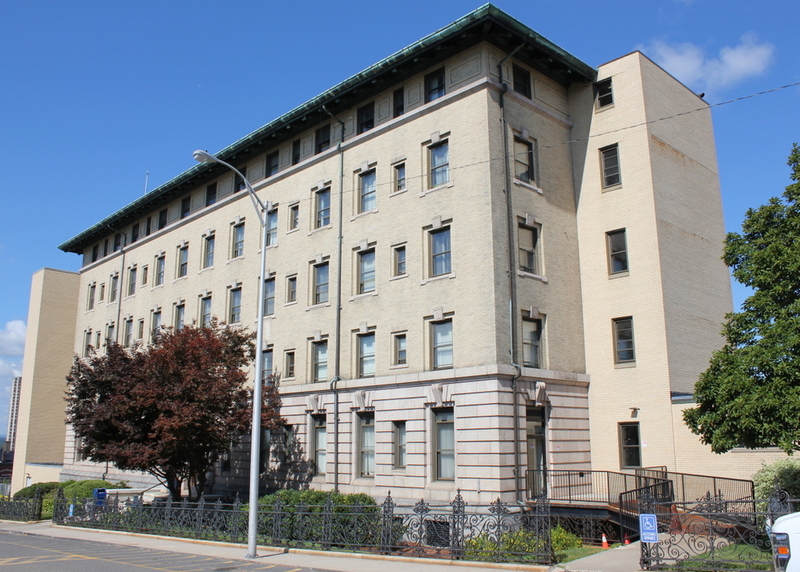 It sat atop the hill just east of downtown, and from here he could enjoy expansive views of the city and the Connecticut River valley. By the 1870 census, Clary was newly-married to his second wife, Mary. The couple shared the house with four other family members, including his 88-year-old mother Electa, and they also had three servants who lived here. In 1874, Clary sold the house to grocer Olin Smith. He and his family lived here for a few years, but in 1881 the house was acquired by The Elms, a private school that had previously been located in Hadley. 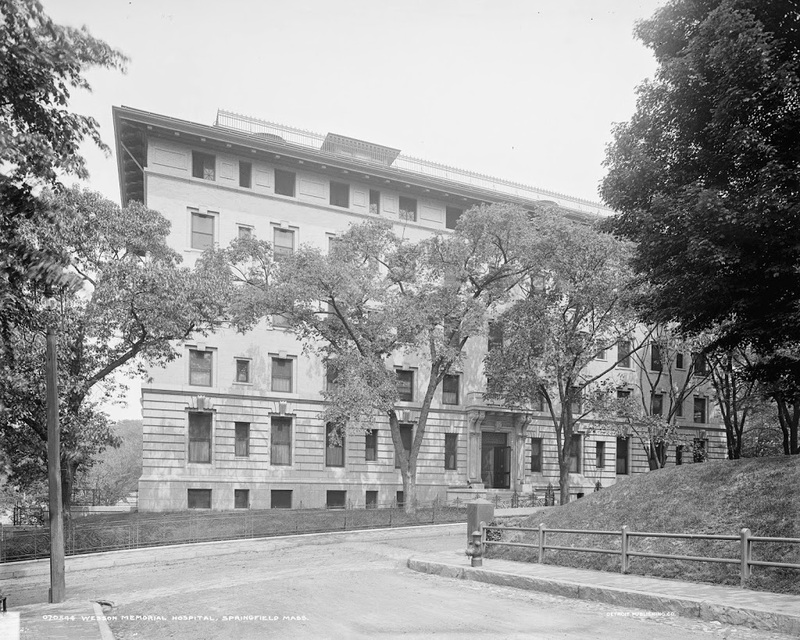 Unrelated to the similarly-named Elms College in Chicopee, The Elms was founded in 1866 by Charlotte Porter as a school for girls, to prepare young girls for colleges such as Mount Holyoke, Smith, Vassar, and Wellesley. Charlotte Porter served as the principal of the school for many decades, and lived here at the school until her death in 1931 at the age of 90. 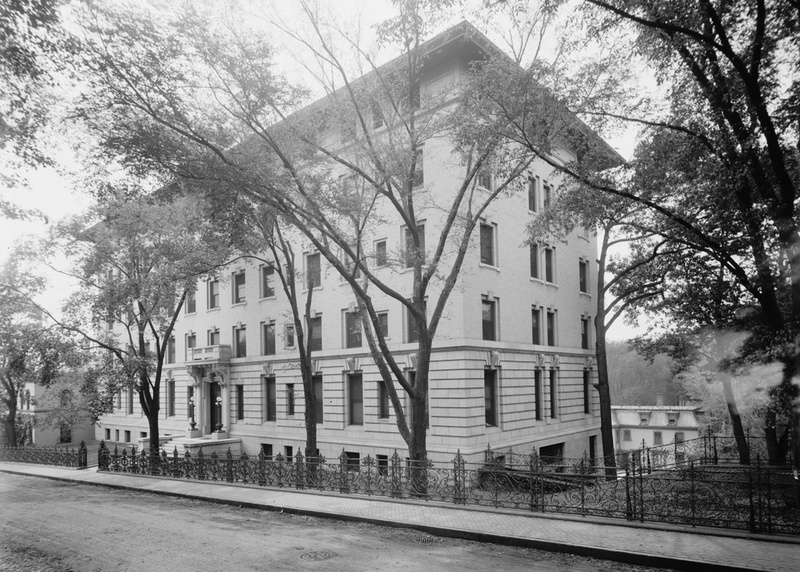 The school appears to have closed soon after Porter’s death, and the building was demolished by the late 1930s, because it does not appear in the 1938-1939 WPA photographs. 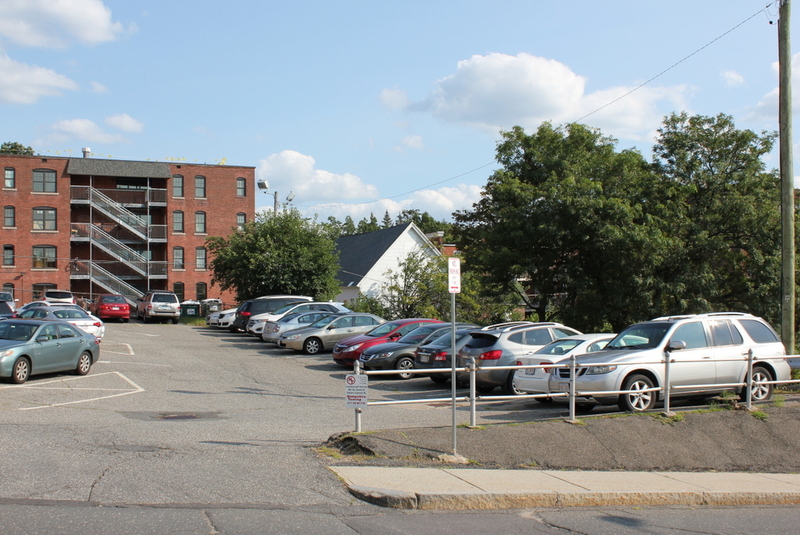 All of the other homes in the quarter-mile-long block between High Street, Union Street, Walnut Street, and Ingraham Terrace have also since been demolished, and today much of this block is a parking lot for the former Wesson Memorial Hospital. This building, which is now owned by Baystate, is visible on the far left. Further in the distance is the High School of Commerce, which was built in 1915 and was later expanded with an addition on the right side of the photo. The School Street School at the corner of School and High Streets, around 1938-1939. Image courtesy of the Springfield Preservation Trust. This building is among the oldest surviving school buildings in the city, but it isn’t the school that the street was named after. Springfield’s first high school was located across the street from here, from 1828 until 1840, and over the years several more public schools would be located in this area. 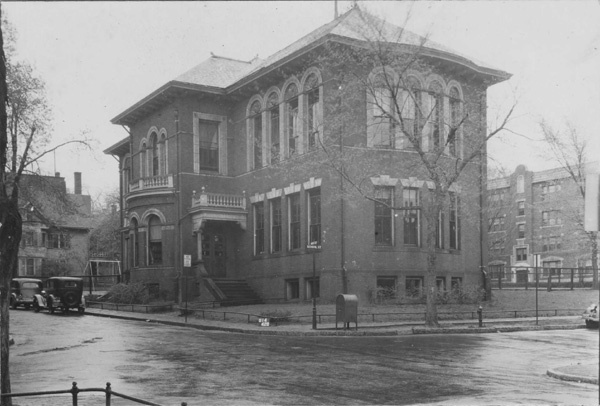 The current building was built in 1892 as an elementary school, and as the two photos show its exterior has been well-preserved in the past 75 or so years. 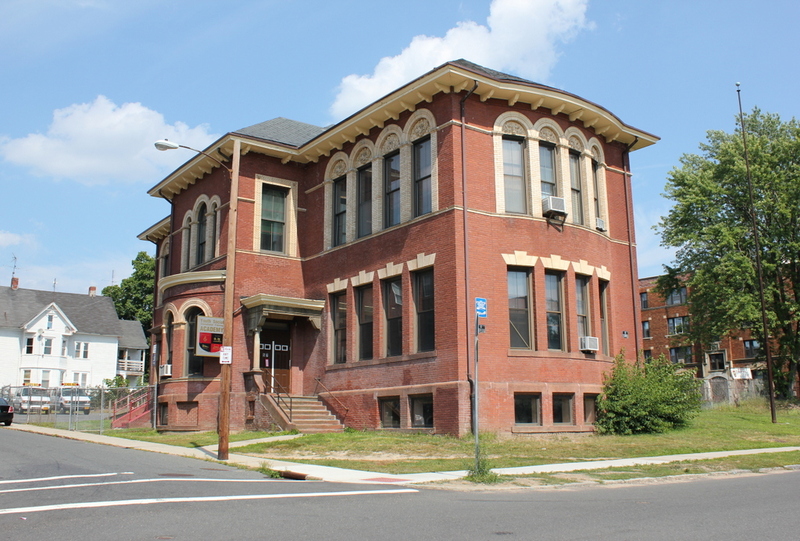 Although it is no longer a public school, it is now used by the Youth Social Educational Training Academy, which offers preschool as well as before and after school programs for children. 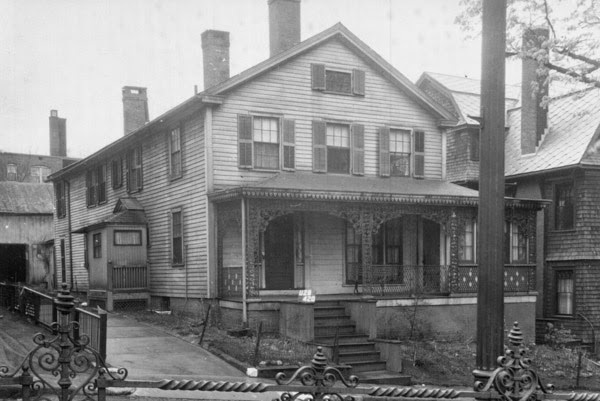 The Wesson Memorial Hospital on High Street in Springfield, around 1900-1910. Image courtesy of the Library of Congress, Detroit Publishing Company Collection. The Wesson Memorial Hospital was established in 1900 by Daniel B. Wesson, one of the co-founders of Smith & Wesson. 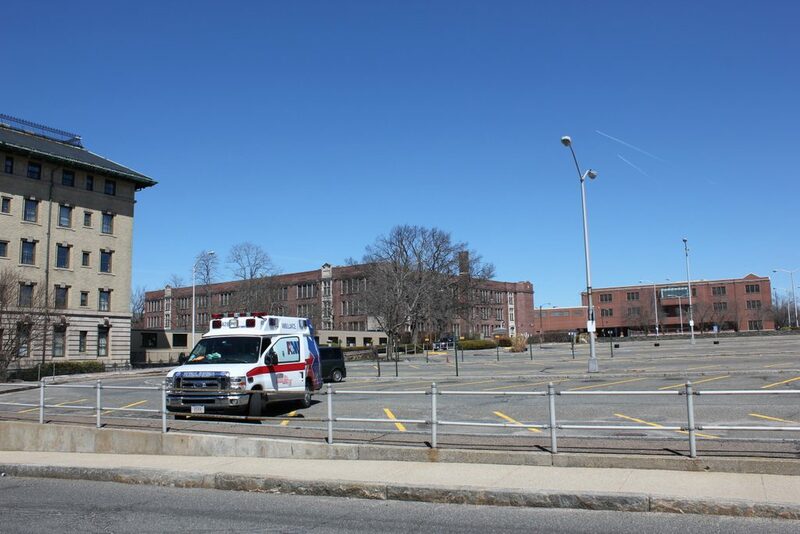 His home and factory weren’t too far away from here, and near the end of his life he began several charities, including this hospital. The building hasn’t changed much, and even the fence along the sidewalk is still there. 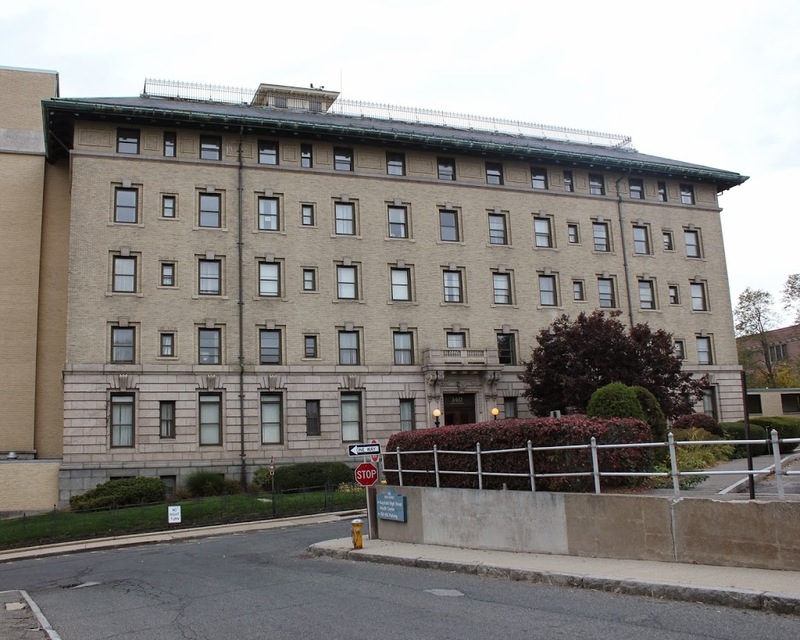 It is still a hospital, although Wesson Memorial merged with the Medical Center of Western Massachusetts in 1976 to form Baystate Medical Center, one of the largest employers in Massachusetts.